The launch of much-awaited health insurance scheme, Ayushman Bharat, which was announced during 2018 Union Budget, again got delayed. The scheme found a mention in Prime Minister’s Independence Day speech but only to get delayed further. As per his announcement from the Red Fort, the scheme will be rolled out on September 25, the anniversary of Pandit Deendayal Upadhyay. Due to the political importance of this speech (his last one of this tenure), there were speculations that the Prime Minister might roll out the scheme on the occasion of 72nd Independence Day itself. However, he just announced a date of rolling out the scheme. As per the sources in Ministry of Health and Family Welfare (MoHFW), the government was pushing hard to launch it on August 15, but due to lack of preparedness, it had to be postponed further for a month. There are chances that the scheme will just see a formal launch on September 25 and won’t be rolled out across the country. A highly placed source in the ministry said that the programme is big and it targets a large number of families (10 crore). Hence, it cannot be rolled out in one go. This indicates a possibility of phase-wise implementation. So far, 28 states have signed the MoU with the Centre and states such as Karnataka, Delhi and Maharashtra are yet to sign it. As per the estimate, the programme will have to empanel more than 20,000 hospitals and close to 200,000 personnel will be needed to implement it across the country. All these personnel need to be trained for rolling out the programme. In terms of the scale, there is just a beginning on the ground. Even Indian Medical Association (IMA), the biggest association of private doctors in India, has to meet policymakers over the package rates in the scheme. Earlier, they registered their dismay against the low price of package rates. They agreed to join the programme only after government’s assurance to look into the issue and there is a meeting proposed before rolling out the scheme. 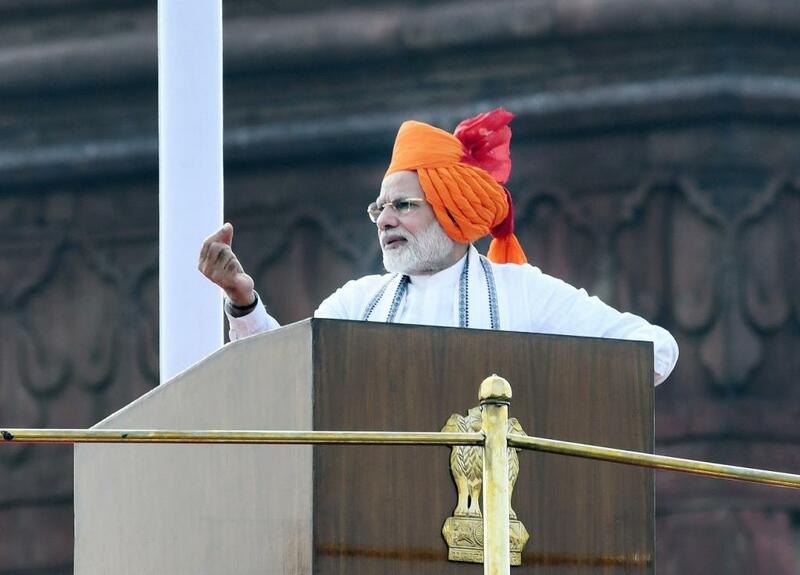 These facts indicate that huge preparation is needed to rollout the programme and it won’t be possible on September 25 as Prime Minister announced from the ramparts of Red Fort. Despite the fact that the scheme of such magnitude can't be launched at short timelines, the government kept reiterating its launch on every big occasion. Arun jailtey announced the ‘world’s largest insurance scheme’ in his last budget speech and claimed that it will benefit around 50 crore people of the country. Narendra Modi also said, “It is high time we ensure that the poor of India get access to quality and affordable healthcare." He said this scheme would positively impact 50 crore people. The government is now looking serious, at least for limited rollout, because of the approaching General Elections. Otherwise, the present government has been announcing similar schemes since it came to power. Earlier, the finance minister, in his 2015 budget speech, had announced the same with coverage of Rs 100,000 to families. Later, on August 15, 2016, Prime Minister Narendra Modi had also included this in his speech to offer help to those who are facing hardship due to medical expenses. The proposal is lying with the Union Cabinet since November 2016. In his last full-fledged budget speech, Arun Jaitley announced the scheme without doing any homework and allocated a meagre Rs 2,050 crore. When experts criticised the government’s claim and allocation, MoHFW confirmed that it will cost Rs 10,000 crore.